Situated on the Sneem road, just a few minutes' walk from the charming shops and gourmet delights of Kenmare Town, the Kenmare Bay Hotel is a leading wedding venue and a great place to unwind, with a state-of-the-art health club equipped with pool, gym, jacuzzi and sauna. Escape to living with our choice of standard and superior rooms. Whether you stay in the hotel itself or in the modern comfort of our luxury lodges or holiday homes, you are assured of exceptional comfort, friendly service from our staff, and a thoroughly enjoyable stay. Of all the hotels in Kerry, the Kenmare Bay Hotel & Resort is the one that visitors return to again and again. Once you've stayed here, you'll discover why. If you are a business traveller, please contact us today for our corporate business traveller programme and special rates. 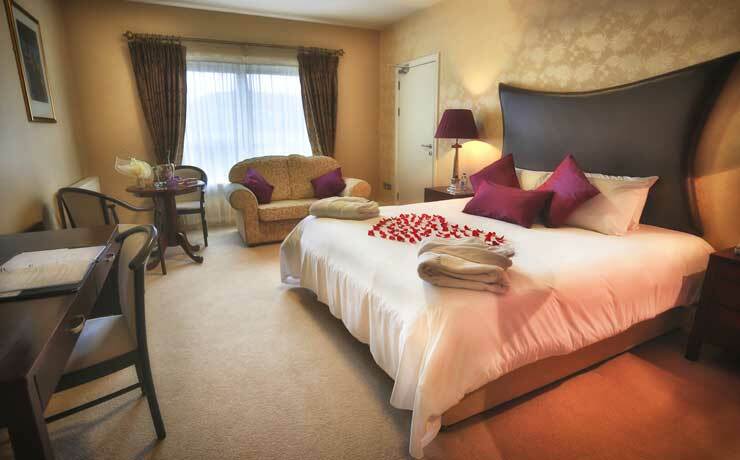 The Kenmare Bay Hotel has a selection of Rooms to suit every guest's needs. Choose from Standard and Superior options, as well as two Bridal Suites. Each room is en-suite and offers quality accommodation in spacious and comfortable surroundings. 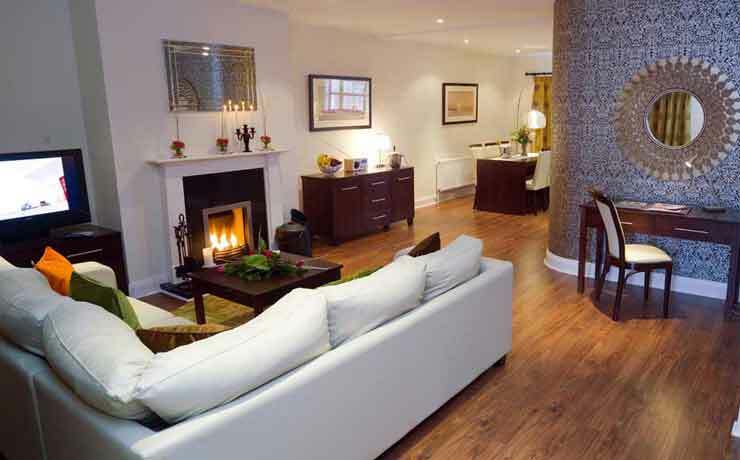 Enjoy multi-channel TV, direct-dial telephone, hair dryer and tea/coffee making facilities. To accommodate individual guest requirements, there are family, disabled, interconnecting & triple options. Our two bedroom Luxury Lodges are exceptionally well-designed and stylishly decorated to give you superb comfort plus some added luxuries including an open fire and flat screen TV's in each en-suite bedroom. All within walking distance of Kenmare town. The 4-star, self-catering Holiday Homes provide spacious and comfortable accommodation for up to seven people on the grounds of the hotel. 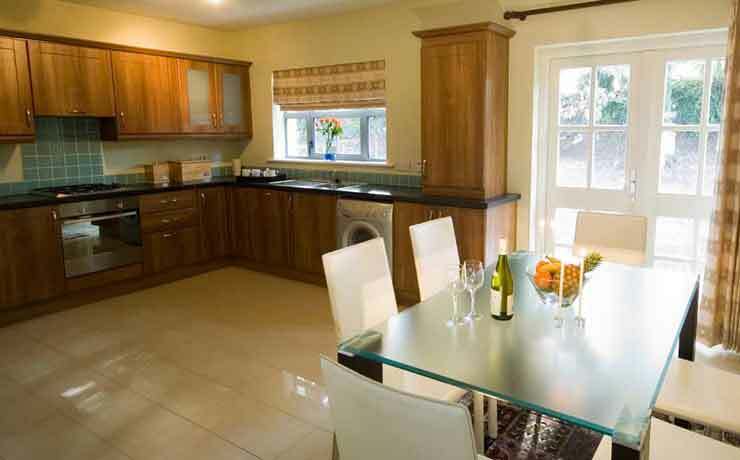 Ideal for larger groups or families, each modern two-storey Holiday Home has three bedrooms and all the features to make your stay as comfortable and relaxing as possible. Add to that the convenience of full access to all of the hotel facilities, and you have the perfect setting for a great holiday. 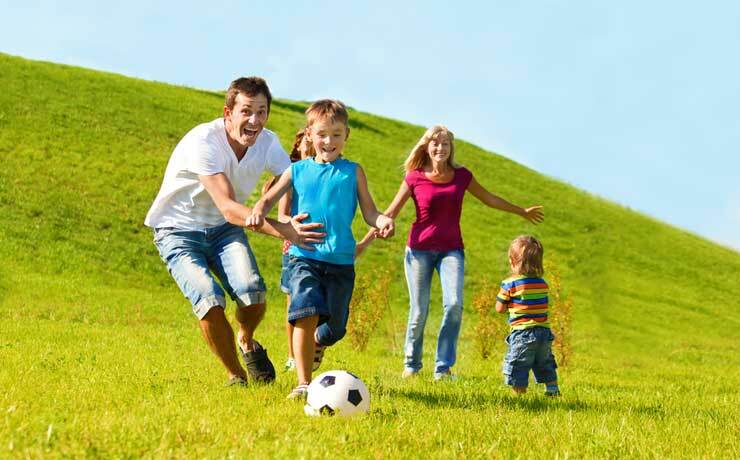 Enjoy a fun-filled Family Break in Kenmare this Easter. Based on 2 adults, and up to 2 children under 12 sharing.